The Wildcats beat the Hawkeyes, setting up a Sweet 16 matchup with Miami in Louisville on Thursday. Get all of David Gardner’s columns as soon as they’re published. Download the new Sports Illustrated app (iOS or Android) and personalize your experience by following your favorite teams and SI writers. No. 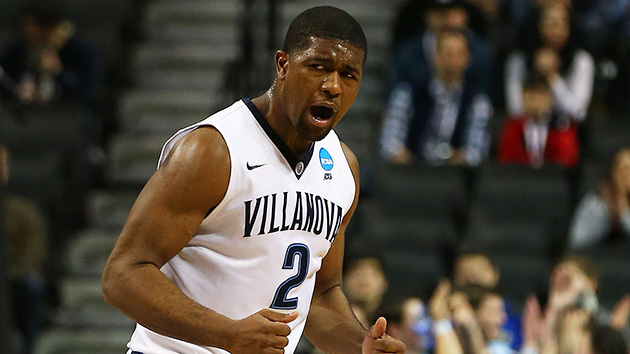 2 Villanova smothered No. 7 Iowa almost from the beginning in Brooklyn. Hawkeyes senior forward Jarrod Uthoff hit an early three-pointer and his team jumped to a 6–5 lead with 18:37 left in the first half. It was the last time the Hawkeyes would be ahead in the game. Eight rotation players scored in the first half for the Wildcats, who went to the locker room with a 54–29 advantage. By the final buzzer, four Villanova players had scored in double figures, led by 19 points from Josh Hart. The Wildcats shot 59% from the field, 53% from three and led by as many as 34 points en route to a 87–68 win. Since 2009, when it made a magical run to the Final Four, Villanova had failed to win its way into the second weekend of the NCAA tournament—until this season. The Wildcats looked motivated by past failures and poised to prevent them again from tip off against Iowa. For coach Jay Wright, the win helps to curb the narrative that he is an excellent regular-season coach who has taken advantage of the weakest of the big basketball conferences but failed in March, when coaches are judged the most. For Iowa, it’s another disappointingly early exit from the NCAA tournament. This team had looked like a Final Four contender in January, but lost six of its final eight games heading into the Big Dance, including an inexplicable loss to Illinois in the Big Ten tournament. Iowa has been to three straight tournaments now under head coach Fran McCaffery, but it hasn’t made the Sweet 16. As Wright has shaken off the stigma, McCaffery may be succumbing to it. Villanova will face No. 3 seed Miami in the Sweet 16 in Louisville on Thursday. The Hurricanes beat the 11-seeded Wichita State Shockers on Saturday to advance to Louisville.